I’m not exactly sure how this happened, but here we are half way through 2018! 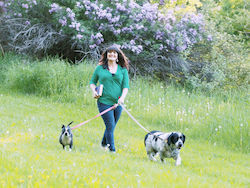 The first third of the year was loaded with emotional challenges for me and a lot of family “stuff.” My memoir project isn’t progressing as I’d hoped, and I did some serious re-grouping and evaluating my priorities going into this spring. Fortunately, reading is an anchor in my life. Even when things are out of my control and my days are draining, I make time to read. In fact, I had more reading time in this first half of the year than I’d anticipated when I set my goal of finishing 90 books in 2018. 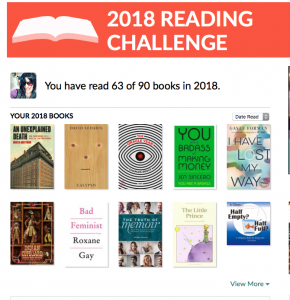 As of this week, I’m at 63 books so far this year. While that puts me on track to finish over 100 books this year, I’m currently increasing my writing time again. So if my reading slows down, I should still be able to meet my goal. 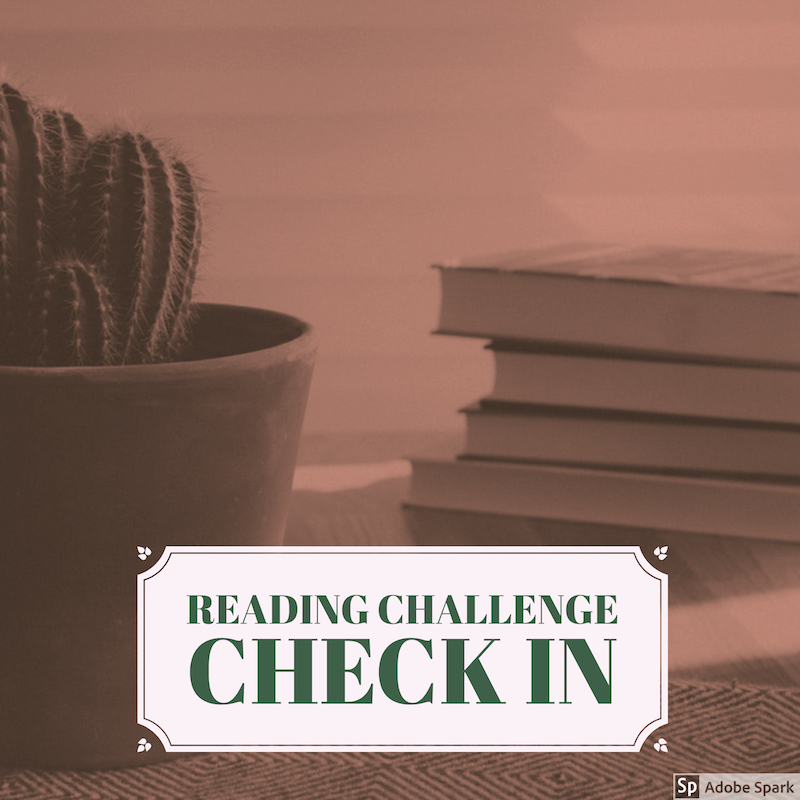 Out of the 63 books I’ve read so far this year, 48 are for challenge categories. The rest are miscellaneous for fun or self improvement. 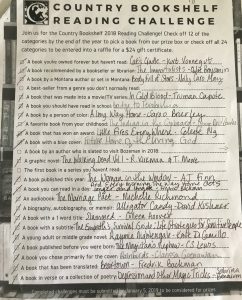 For the ReadHarder Challenge, I’m at 9/24. So far my favorite book has been An American Marriage which is for the category of An Oprah’s Book Club Selection. My favorite category has been A book that involves a bookstore or library, for which I read The Storied Life of AJ Fikry. The category I’m dreading the most is probably A book of genre fiction in translation, because I’m still not totally sure what that means! What about you? How are your challenges coming along? What have been your favorites or not so much favorites? I am using a Nordic Noir series for genre fiction in translation (mystery)…I am betting you could count any of the Backmann ones…literary fiction is still a genre! I only have 2 left in WIWR, and I am reading my penultimate one now! I am halfway through Read Harder and I think about 30 into Pop Sugar…I am at 80 for the year!! Whoa. I think my favorite so far this year is Behold the Dreamers, but I loved the audio of Matilda I listened to this week.